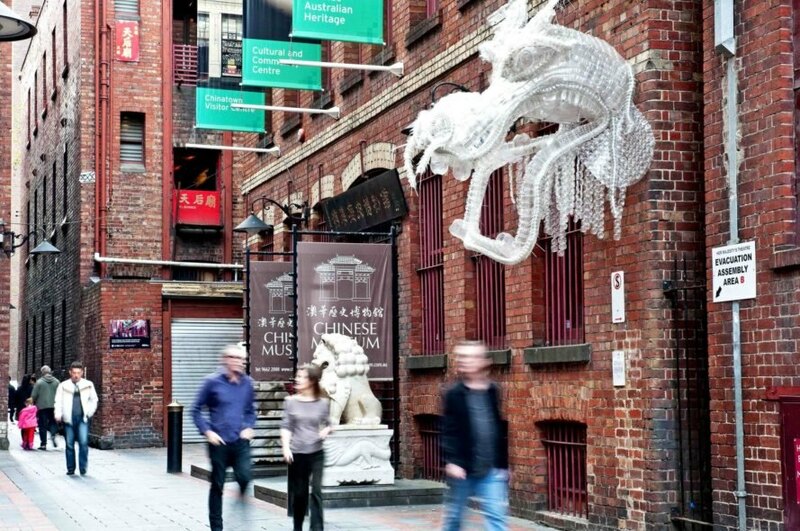 In 2012, Claire Tracey was commissioned by the city of Melbourne to produce “Water Dragon,” a giant transparent dragon sculpture made from recycled plastic water bottles. Developed with The Chinese Museum, the project explored sustainability and traditional Chinese culture within the context of contemporary public art. The sculpture celebrated the year of the dragon wile providing a platform for the public to engage concepts of waste management and environmental responsibility in a cross-cultural framework. The sculpture was an environmental action to address global issues relating to plastic waste and it is the recent Winner of the MAGNA Award for Sustainability.